The new Collapsible Locking Bollard is made from 4” schedule 40 steel pipe and is covered with our HDPE plastic Bollard Covers. Designed to be easily installed and operated, the Collapsible Bollard has a drop-down mechanism and pad lock. Once the lock is removed, the bollard can be dropped down to the ground with relative ease. 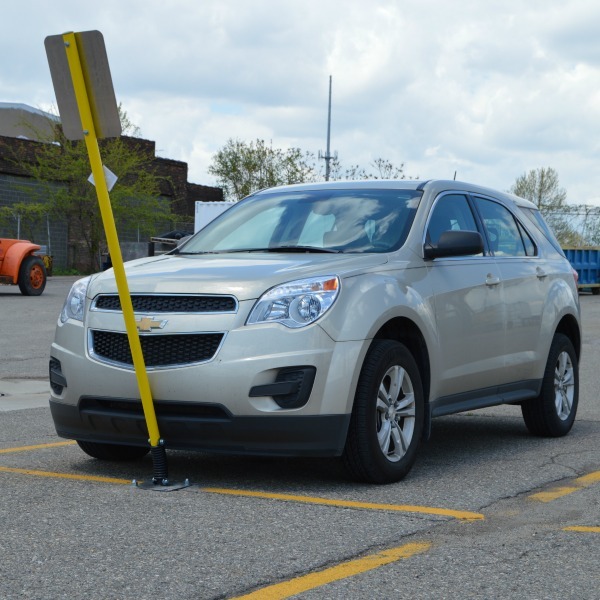 With a lowered height of 6.5” high, this is the perfect product for blocking off temporary vehicle access areas for emergency vehicles, service vehicles, and trucks at events, businesses, shipping/loading docks, facilities, and much more. 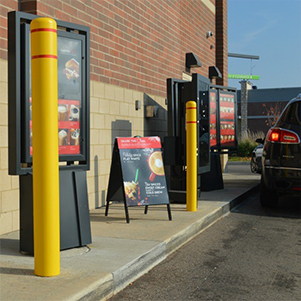 The new flexible line of products from Bollards & Sleeves offer an alternative to our standard bollards. 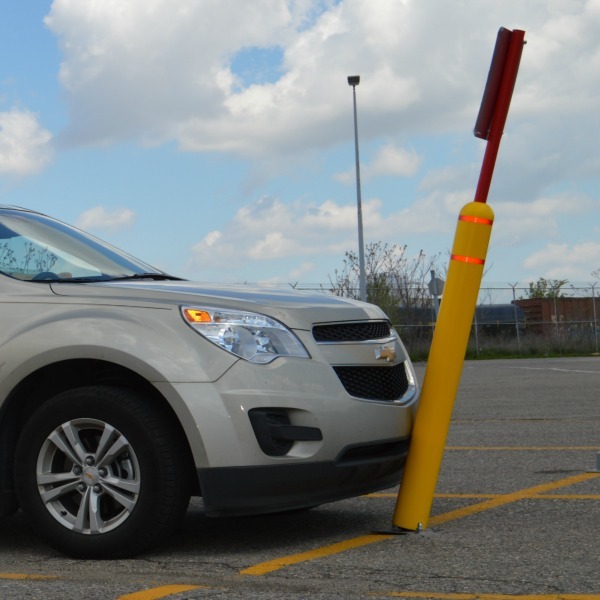 Our flexible product line provides a quick and easy solution to eliminate damage to parking lot signage and vehicles. 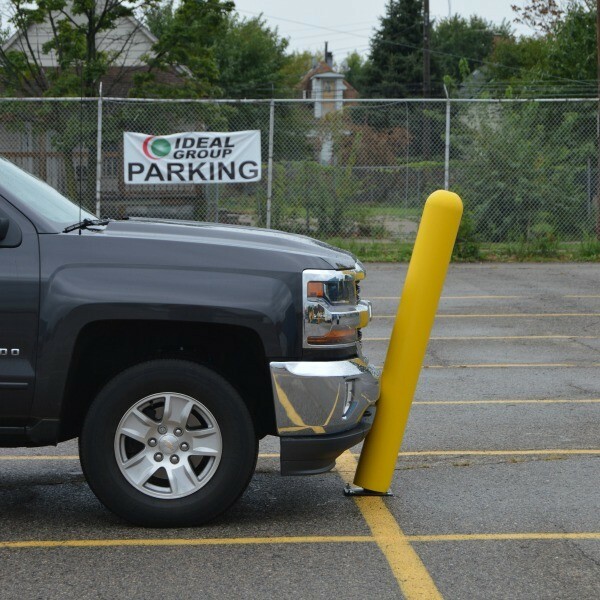 We have the solution to fit your needs, whether its the Flexpost Bollard, the Flexpost Sign System or the Flex Post Stick, Bollards & Sleeves has you covered. 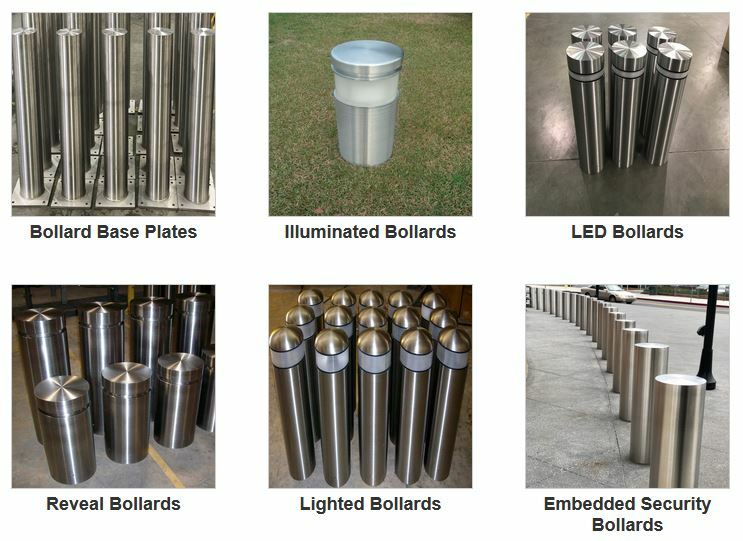 For the first time, Bollards & Sleeves now carries a 1/8" Flat Top Reflective Bollard Cover! This brand new design has two grooves toward the top of the bollard cover that allow for reflective tape to lay flush against the sleeve. For more information or to purchase these products visit our online store here or select the link beneath the pictures above.